I was out in the Ft Bliss training area on a mission and stumbled across this US General Land Office Survey Marker. I have looked it up in a few databases with no luck. I am no expert on these so I was hoping someone could help me find more information about it. 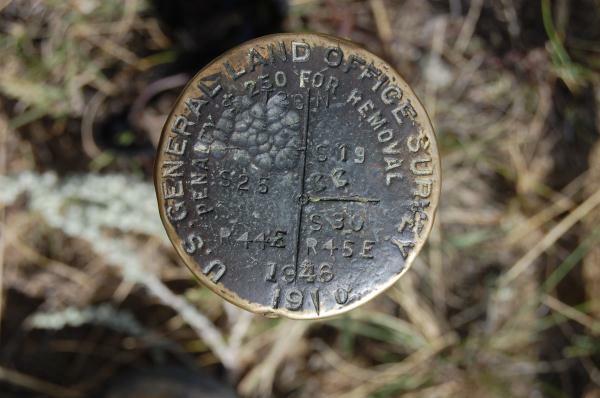 It is rare to find a cadastral (land corner) monument in the geodetic data bases. They were set for very different purposes and mostly without regard for each others' coordinate systems. The stamping on that disk is shorthand for: in Township (6-mile nominal squares) number 26 south of the regional base line, on the line between Range (of townships) 6 east and Range 7 east of the regional principal meridian, at the southwest corner of section 7 in range 7 east, which is also the northwest corner of section 18 in that range, and adjacent to to section 13 in range 6 east. I'm not sure but guess the C means it is a closing corner as the survey coming from the east hit the previously surveyed range (north-south running)line, as opposed to a standard corner as marked when that range line was run to define section 13. The instructions for different states/regions were somewhat varied in how the accumulated error for each township was to be dealt with, but in many cases the last sections along the edge of a township were not made to match up with those in the next township. 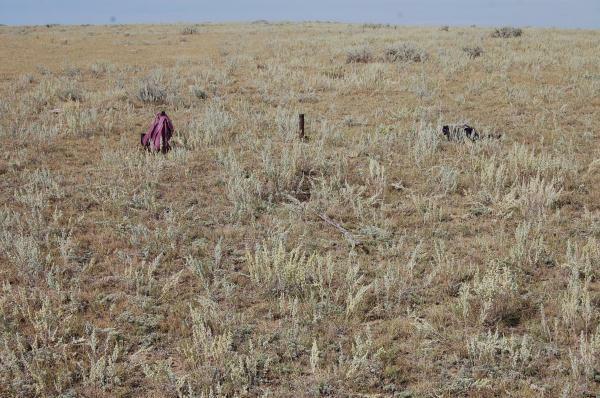 For more information about the overall system, search for Public Land Survey System. Thank you for that information, looking at the link you gave me I understand a little now how townships works. I should be able to find more markers then correct? 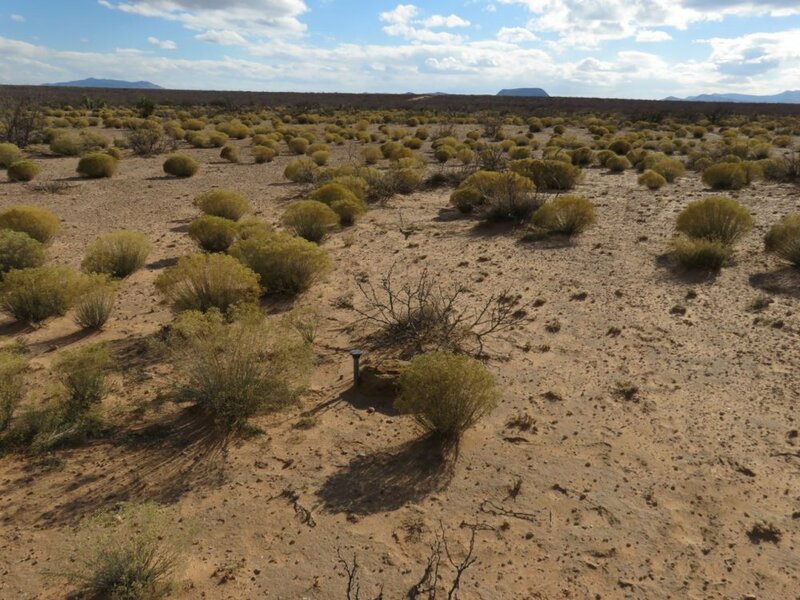 I thought it was weird that they would survey the middle of the desert. Gov't land is the purview of the GLO. If it's any consolation, there's a couple of these logged in Texas as shown in the NGS and Geocaching site. CX1571 & CX1690. 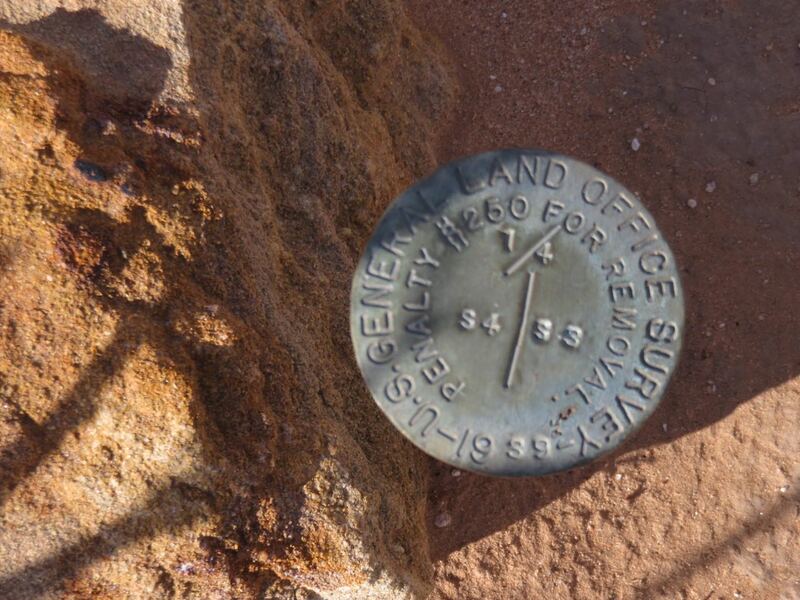 I've found these PLSS markers in the wild by accident many times, usually in the National Forest or on BLM land. None of them are in the database. Again, many western states have numerous PLSS monuments that have a PID. GSAK for Montana will filter out 176 for a 'Placed By' 'USGLO' filter, and another 42 with waypoint names that start with a 'T' (for township ##), GLO or something similar..
Plucked at random from my founds. 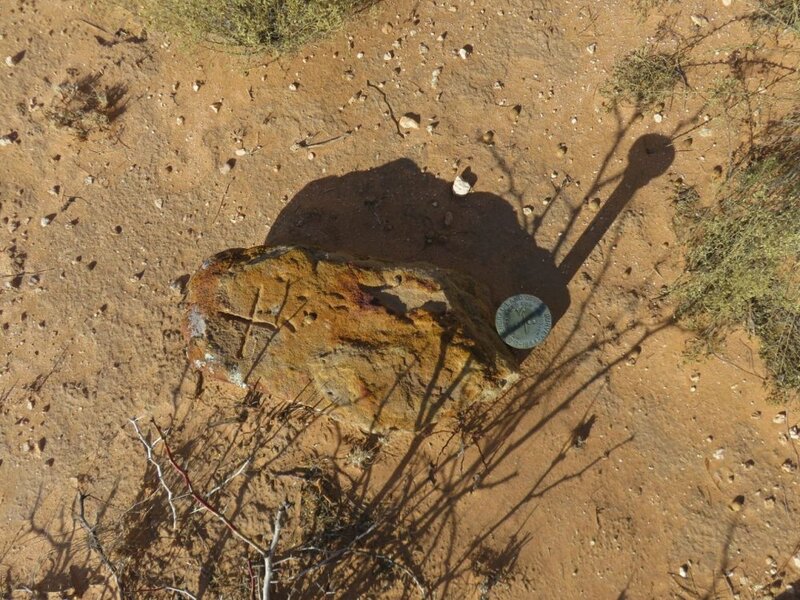 I stumbled across one of these General Land Office Survey markers while geocaching in the area of the Jornada Del Muerte last week (sounds more dramatic than east of Hatch, NM) I thought the rock with the chiseled cross was an interesting addition. Interesting mix of marks in this county, but I could not find your GLO among the eight in the Excel file I got with GSAK several years ago. The 36 CGS+SS [one of which is a triangulation station) along with 13 rivets and a few IBC's might make it my snowbird destination next year. 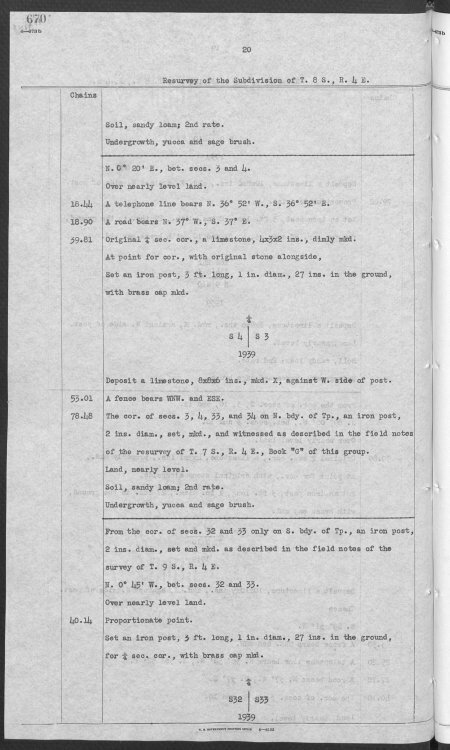 You didn't make it easy by your description of where you were located, but here are the original GLO notes describing your corner including the placing of the stone with the X on the west side of the corner. Thanks for that research Kurt, it is much appreciated. If I find another one sometime I'll post coordinates!